Before we look at where we are headed, it is important to first understand our history and the present state of sports gambling today in the US Currently, the only state where a licensed sports gambling organization is allowed to operate is Nevada. This is due to the Professional and Amateur Sports Protection Act (PAPSA) of 1992. PAPSA inhibited sports gambling about as much as Prohibition stopped drinking. Still, people continue to place bets online by using companies that have setup operations offshore. According to the American Gaming Association, during last year’s Superbowl, $4.6 billion, or roughly 97% of total bets were gambled through unlicensed sportsbooks. In 2011, Governor Chris Christie of New Jersey realized how much potential revenue the state was losing. That same year, New Jersey voted for a state constitutional amendment that would permit sports gambling. Immediately after a favorable vote, they were sued by the NCAA, NBA, NFL, NHL, and MLB for violation of PAPSA. The case has gone to the supreme court and a decision will be made between March 5th and June 29th of 2018. All signs are pointing to a favorable ruling for the state of NJ. If NJ wins, other states will follow suit. In fact, many are already preparing for a favorable ruling by putting legislation in place. States aren’t the only ones to have noticed the huge earnings potential in sports gambling legalization. Upon realizing the huge profit potentials, the NBA has since changed its stance and is in favor of legalization. Why the sudden change of heart? If sports gambling is legalized, it won’t be long before the NBA would push for bookmakers to pay them a 1% fee on all NBA related bets. They have already claimed that the bets would not be possible without the league itself, and also would argue how they provide the underlying data(scores and statistics) used by sportsbooks. It is also worth noting that the NBA has equity in Fan Duel, the Fantasy Sports gambling company, who will most likely add sports gambling to their platform. Their biggest rival, Draft Kings, has already hired a Head of Sportsbook and is preparing for sports wagering to be available as soon as the court decision is made. If the NBA is successful, the rest of the leagues will follow resulting in less commission for the sportsbook themselves, or a higher fee for winners in general. That is the current state of Sports gambling within the US Now, let’s just think about what would happen if it became legal. Would your typical gambler who has been using an offshore bookie for years make the switch over to a legal bookie where he has to pay more in fees due to the state tax? My guess is no. This situation is not so different than the legalization of marijuana in Colorado. After it was legalized, did many users drop their dealers and buy legally with a 30% tax added on? It’s hard to quantify the number of black market marijuana sales, but a lot of research shows that the black market is more prevalent than ever. Last year, Colorado pulled in 200 million in marijuana revenue which proves that it has become a great source of income, but that does not necessarily mean that the black market has declined. I would presume that the black market for sports gambling would stay largely the same size if legalized. People who are regular gamblers, betting every week are not going to make the switch. However, new gamblers may indeed decide to go the legal route, as legal gambling establishments will have an advantage by being able to advertise on TV and the radio. Illegal gambling services will really only be spread through word of mouth or online. One would think that the biggest deterrent to new gamblers from choosing to use an offshore book is that it is illegal. 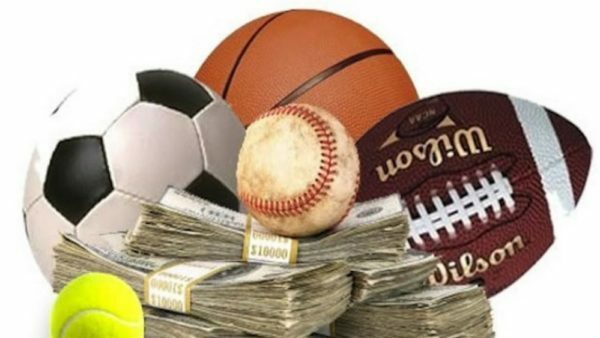 However, no one has ever been arrested or jailed for betting on sports in the US The government is much more focused on shutting down illegal US based sports gambling websites and bookies. So really there is no increased risk for your typical US citizen who likes to dabble in sports gambling with offshore sites. There is a risk however in using offshore gambling sites with little to no regulation. If someone places a huge bet and wins $10,000, there is no one to say they have to pay you. Or what if the house posts a huge loss and declares bankruptcy? You certainly cannot go to the police, US officials, or try and sue the site. These are some of the common dilemmas faced today. Now what if there was a technology to solve all of those issues without using any third party regulation? What seemed impossible a few years ago, is now being developed using blockchain technology. Join me on part 2 as I explain how blockchain will revolutionize the sports gambling industry. I definitely look for sports gambling to be legalized in more states, but I'm sure it won't be all of them. You'll always have those stubborn states that just won't do it. I am all for legalizing it, but like you said, it would be interesting to see how many people make the switch. Thanks! Yes agreed there will definitely be some states to resist legalization, but I think over time it will be inevitable. This is the land of the free after all right? Yea it has to be. States are stupid to resist when there's so much money in it for them. Same goes with Marijuana, which I thought was a very interesting point you brought up. Marijuana and sports gambling have so many similarities - illegal in most states, huge black market, can't stop it, states could be making a fortune, and it's still illegal because the government is a bunch of dumb asses. yea there are definitely some parallels. I was in the middle of writing the blog post and then saw an article on the marijuana debate in my state so I thought of the similarities. I think the legalization of weed is a lot more complex than gambling and has many more complications. People stoned at work/school/driving, negative health side effects, ect. Definitely more complex. I guess I see it similar to alcohol, but a lot less dangerous. Regardless, the government is telling us what we can and can't do. If we want to smoke a bowl while gambling on sports, that should be our choice. We agree that blockchain has the potential to make a huge impact in the online gaming space.